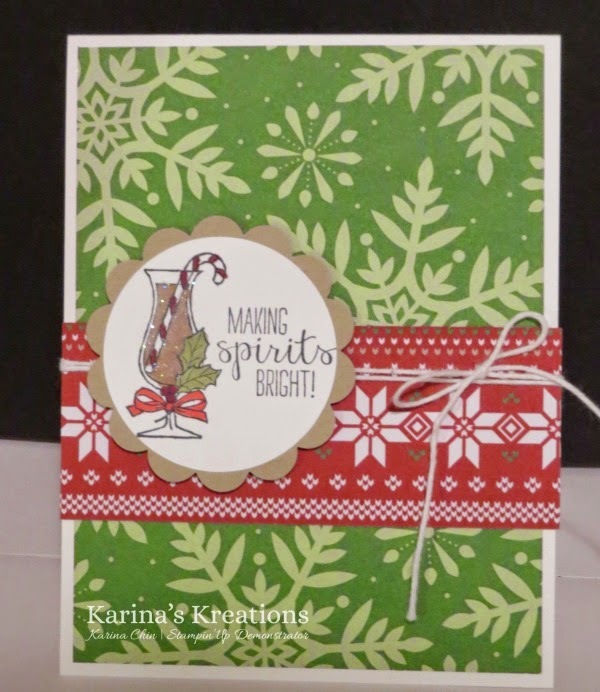 Karina's Kreations: Making Spirits Bright Card! It's super fun stamp night tonight and this is my swap. I love this Making Spirits Bright stamp set. It has a drink for lots of different occasions. This stamp set is only available until Jan 6th!